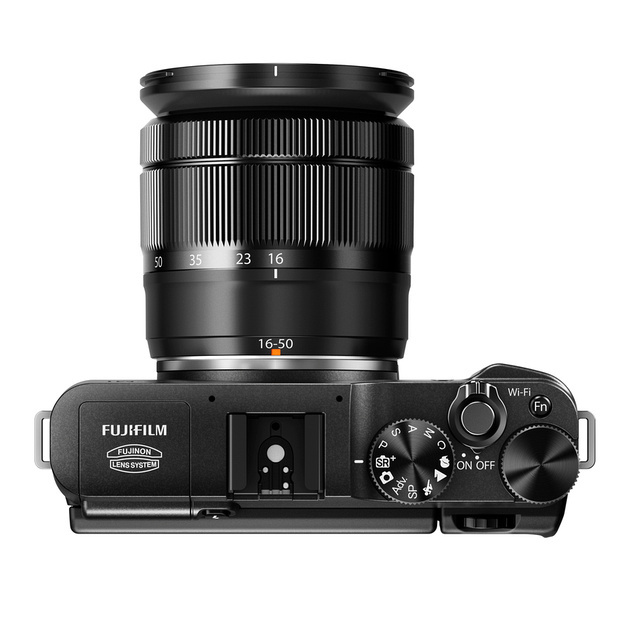 Fujifilm has made things a bit more interesting by offering yet another X series camera with interchangeable lenses, yet this time the starting price drops to lower than a X-E1 thanks to cost savings caused by removing the viewfinder. Before you shed tears for the viewfinder (which I found to be useless anyway on the X-Series), this model picks up built-in WiFi along with the APS-C X-Trans CMOS sensor and EXR Processor II. What this means is that you have a state of the art X-Series camera that works with the X Mount lenses for a starting price under $700 (body only) or under $800 with the new image stabilized zoom lens. To be clear, this isn’t a X100s with interchangeable lenses – I’m expecting that to appear in the replacement for the X-Pro1 and X-E1. This uses the original x100 APS-C X-Trans CMOS sensor found in the X-E1, but it does use the X100s new EXR Processor II and it doesn’t have a optical low pass filter. As a result, great image quality is very likely for a very reasonable price! 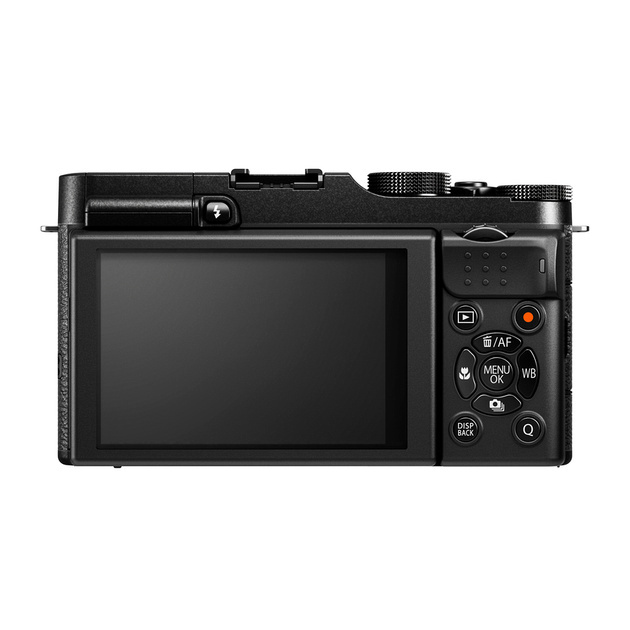 Along with its large APS-C X-Trans CMOS sensor, the X-M1 also features a 3” tilting high resolution LCD screen with 920,000 dots for easy image viewing and framing at various angles. The 3” LCD monitor tilts at variable vertical angles, facilitating both low-angle and high-angle shots whether on or off a tripod. 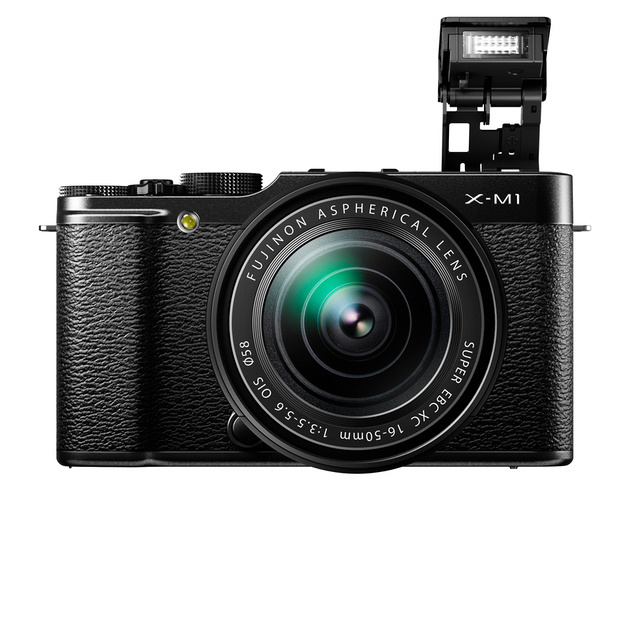 Click here to order the Fujifilm X-M1 web site. My friends at Adorama have it available here.